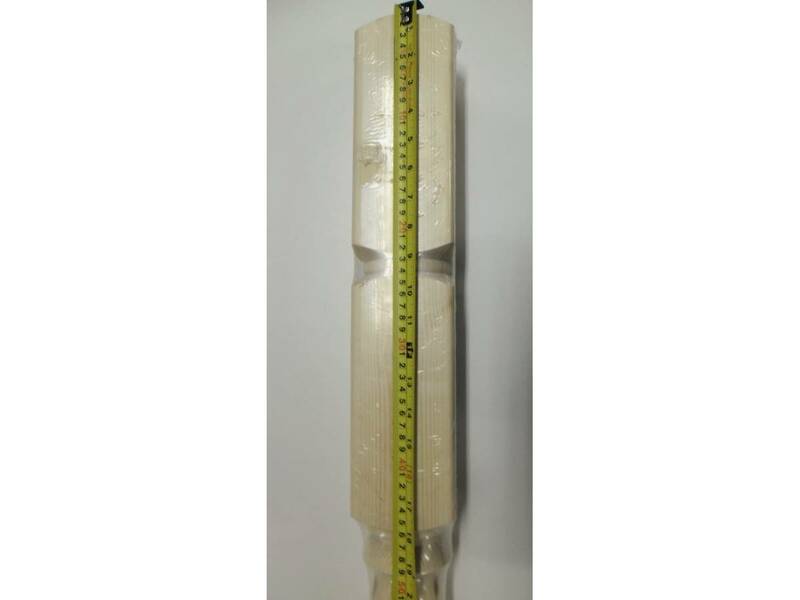 745mm in length, 89mm x 89mm. 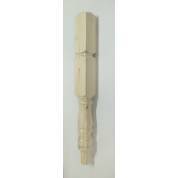 This product is usually used on a quarter landing staircase, at the corner of the landing. 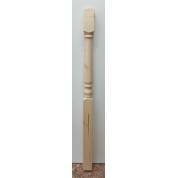 The head of the post (were the handrail butts to) is 210mm with another head underneath at 210mm, the turned section is 290mm. 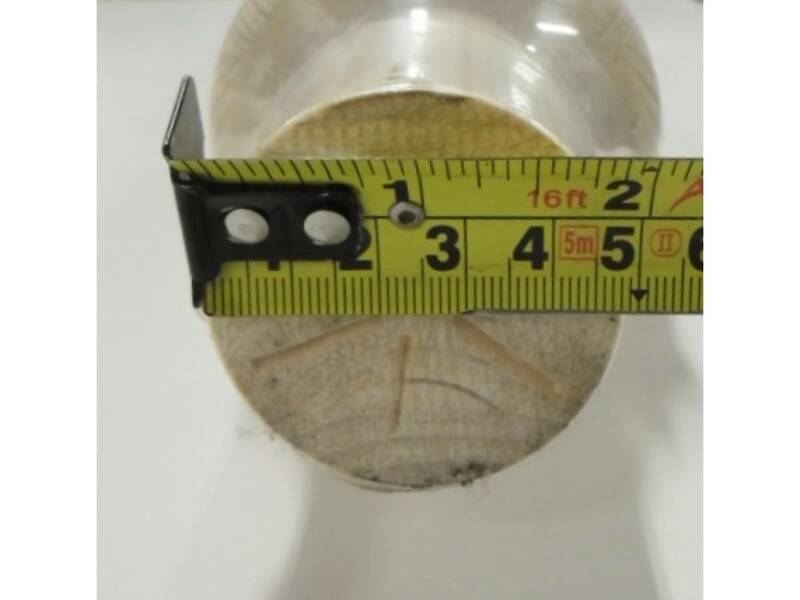 To accept a cap in the top, the whole in the top of the post is 38mm. 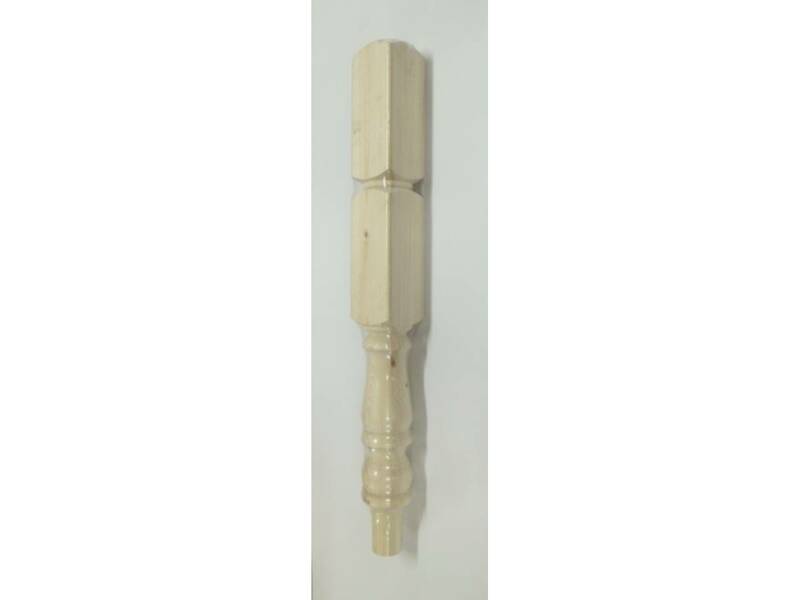 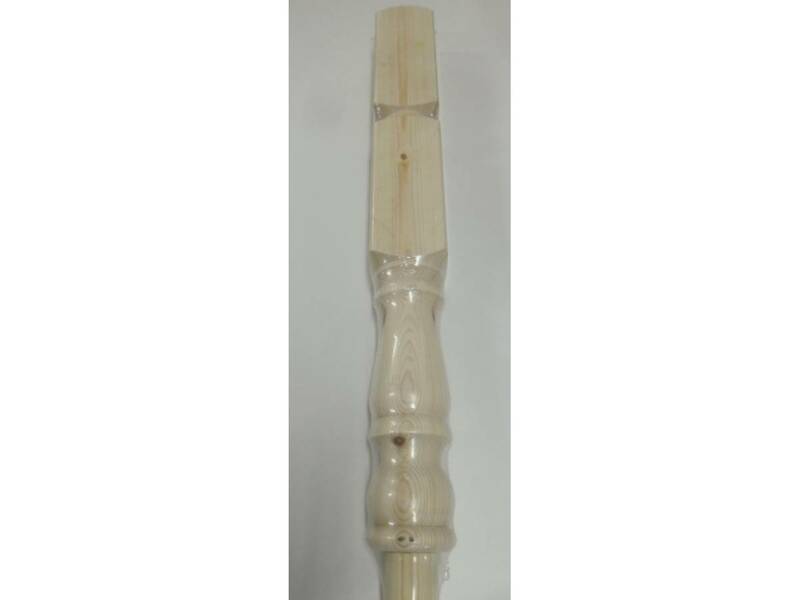 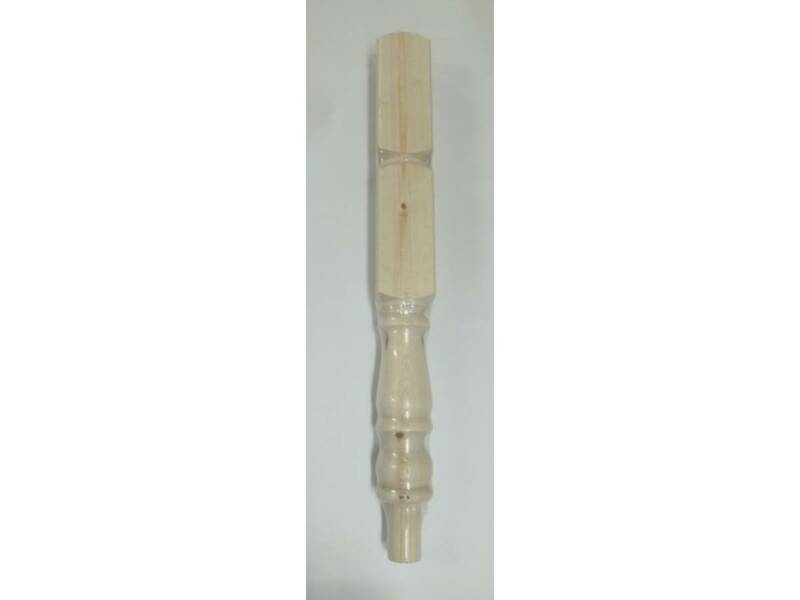 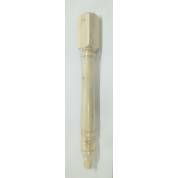 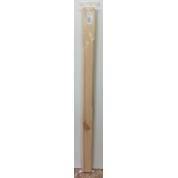 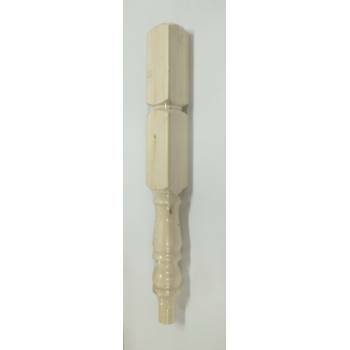 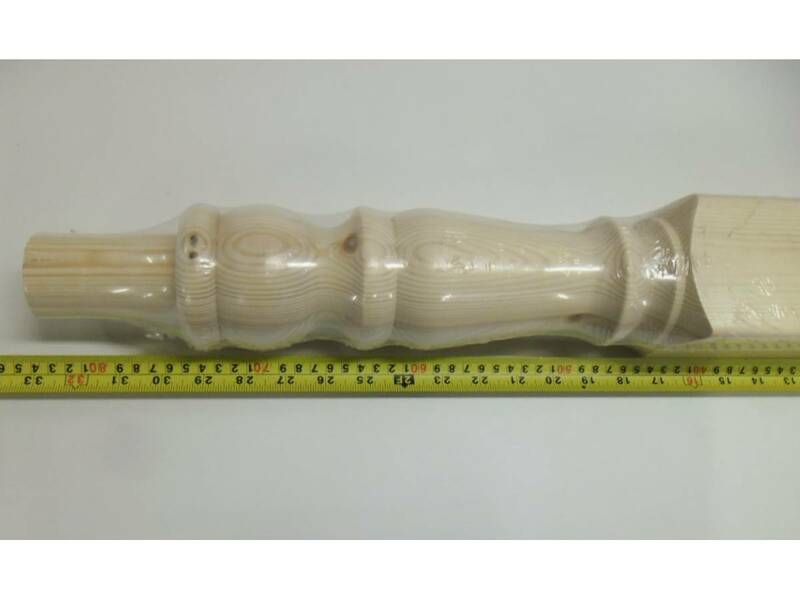 This will fit into our newel bases, purchasable from our stair catergory. 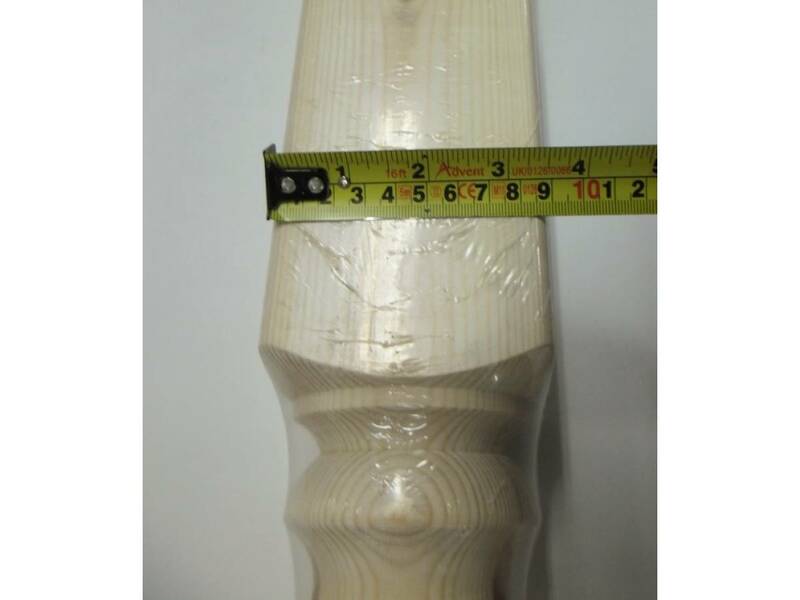 Solid pine, usually three pieces laminated together.